I came accross the ebay, and found this nice Chkara Stone Set. 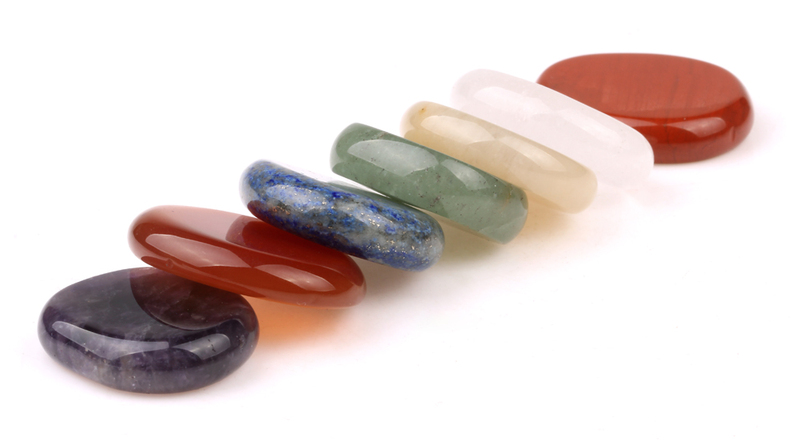 As for chakra stones, I know there is a great demand in the market. When you search “Chakra Stone“, on ebay.com, yopu will find there are a lot of results. That means this type of product is liked by so many people. In my thought, Set of 7 chakra stone include:Amethyst (Crown Chakra) Carnelian(Sacral Chakra), Yellow Jade(Solar Plexus), Green Aventurine (Heart Chakra), Lapis Lazuli (Throat Chakra), Clear Crystal(Third-eye Chakra) and Red jasper (Root Chakra). These 7 materials are basic. I don’t use them for reiki healing, for me, they are a great choice as home decor. They look pretty in pictures.